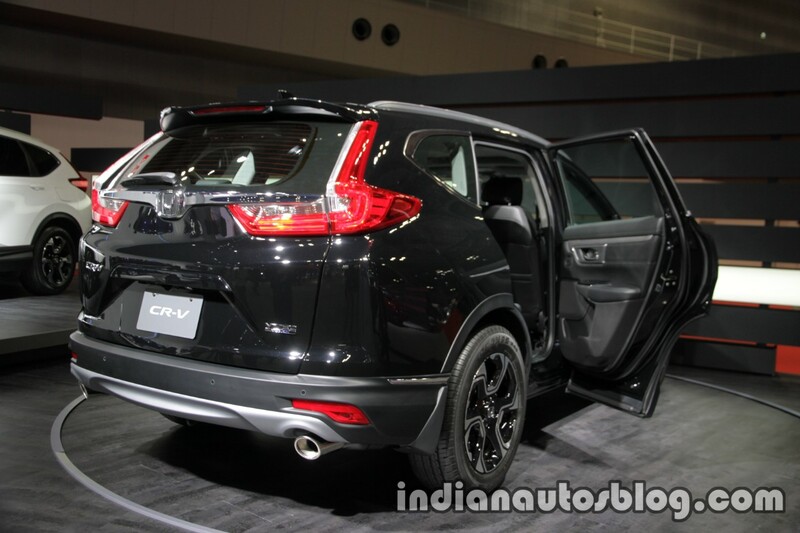 The 2017 Honda CR-V has made its Japanese debut at the 2017 Tokyo Motor Show. The all-new Honda CR-V arrived in October last year and is now on sale internationally. The Honda CR-V on display at Honda’s TMS 2017 booth is the SUV’s fifth-gen model. Featuring an evolutionary design, the all-new CR-V sits on the same platform as the latest Civic and Accord. It is 4,571 mm long, 1,855 mm wide and 1,657 mm (FWD)/1,667 mm (4WD) tall. For the first time, turbocharged petrol and (turbocharged) diesel engine options are available in the 2017 Honda CR-V. The former is an upgraded version of the Civic’s 1.5-litre VTEC Turbo mill, and it produces 193 PS and 243 Nm of torque. The latter is the 1.6-litre i-DTEC unit developing 160 PS and 350 Nm of torque. In addition, 2.0- and 2.4-litre i-VTEC naturally aspirated petrol engine options are available. The fifth generation Honda CR-V has two more firsts - three-row seating option and hybrid powertrain option. Honda is showcasing the three-row version (pictured) as well as the hybrid variant at the 2017 Tokyo Motor Show. Availability of hybrid powertrain and three-row seating will help the Honda CR-V compete with the Mazda CX-8 also, in addition to the direct rival Mazda CX-5. The hybrid variant’s powertrain is the company’s latest Sport Hybrid i-MMD two-motor system. It consists of a 2.0-litre i-VTEC petrol engine, an electric propulsion motor and an electric generator motor. 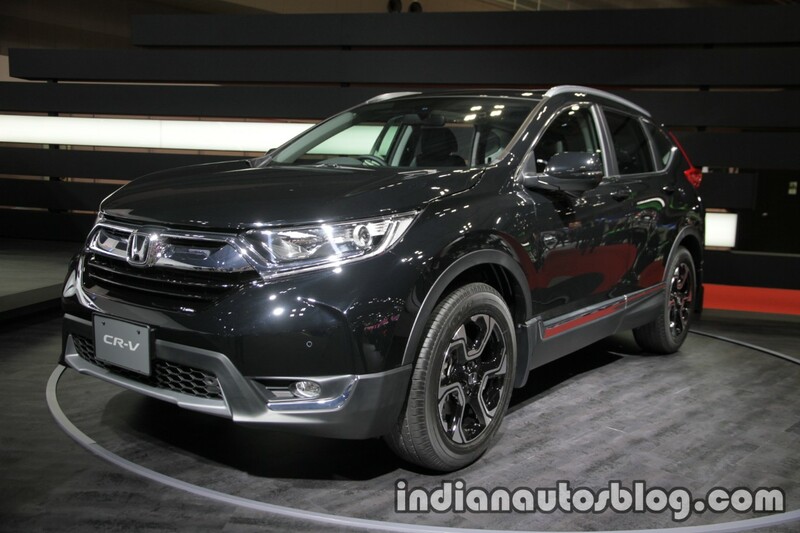 Honda will offer the 2018 Honda CR-V Hybrid in front-wheel drive and four-wheel drive drivetrain layouts. Honda CEO Takahiro Hachigo has confirmed that the fifth-gen Honda CR-V will go on sale in Japan in 2018.